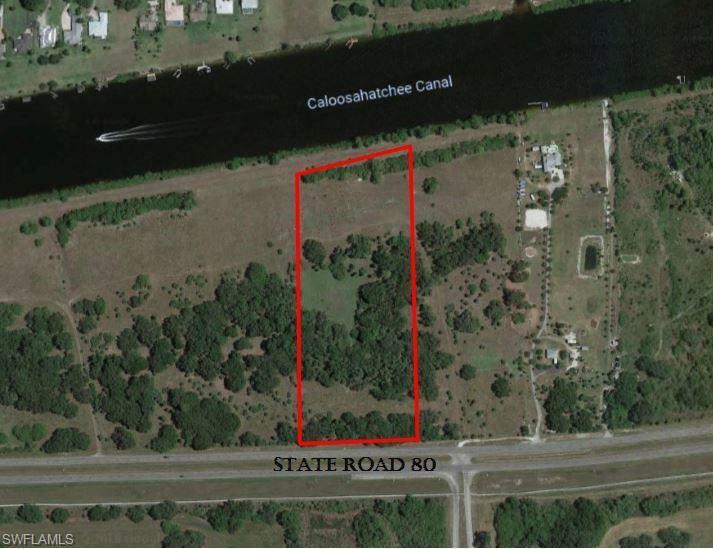 LOOKING FOR THE “PERFECT” CALOOSAHATCHEE RIVERFRONT ESTATE HOME SITE? 400+/- feet on East State Road 80 for an elegant entry into your own 10+ acre estate home site + 400+/- feet on the Lake Okeechobee intracoastal waterway. Zoned A-2 so bring your horses, llamas, etc.—currently leased for cattle for an agricultural exemption providing a low-low tax bill with less than $800+/- per year for this BREATHTAKING property! Riverfrontage has small berm from the original Caloosahatchee River dredging that will need to be cleared and sloped like adjoining properties. Property features many of the LaBelle’s famous old oak trees plus palms and other tropical plants. Property is partially fenced and gated on SR 80. Build your dream home here!—no regulations against building a barn, storing your RV or boat, etc. Property Future Land Use is part of the Western Oxbow Mixed Use District allowing up to 60 or 70 home sites. River view is elegant Riverbend Estates on the north side of the Caloosahatchee River. 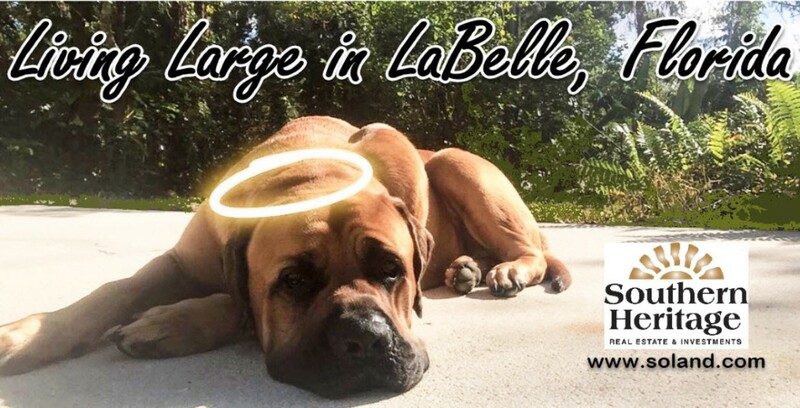 A great central location for your dream home—with easy access to east or west coasts, Miami or Orlando. THE RIVERFRONT DREAM HOME SITE YOU HAVE BEEN SEARCHING FOR!